MOCKFROG has been a wonderful experience for us. We hope to always bring new and innovative designs at a reasonable prices. 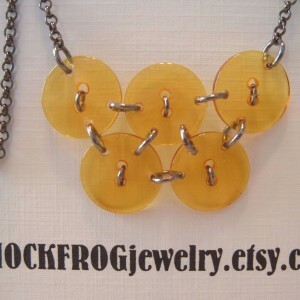 We are currently offering a coupon code on our etsy shop – MOCK2011 for a limited time only. Feel free to browse through our shops and we are more than happy to customize any piece upon request. I really enjoy reading about the history of some of the old artists/animators from the 30's. MOCK FROG was briefly mentioned in an old Monty Python skit called "Whizzo Chocolate". I've been doing crafts for ages. My mother taught me how to knit when I was about 12 and after that I always loved creating. Aside from knitting, I love to quilt and sew. 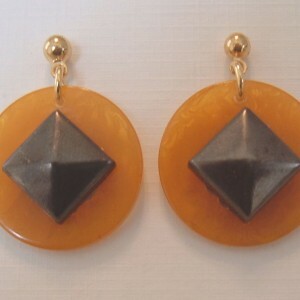 My daughter & I have been designing jewelry for about 5 years. We began by buying up old collections of poker chips, mah jongg tiles, dominoes, buttons and found how much fun it was to create something from those materials. We've also started selling decorative pillows that we are very proud of. One word, vintage. I love vintage because I believe the older things were made better than they are today. My daughter & I used to go to a lot of estate/garage sales. 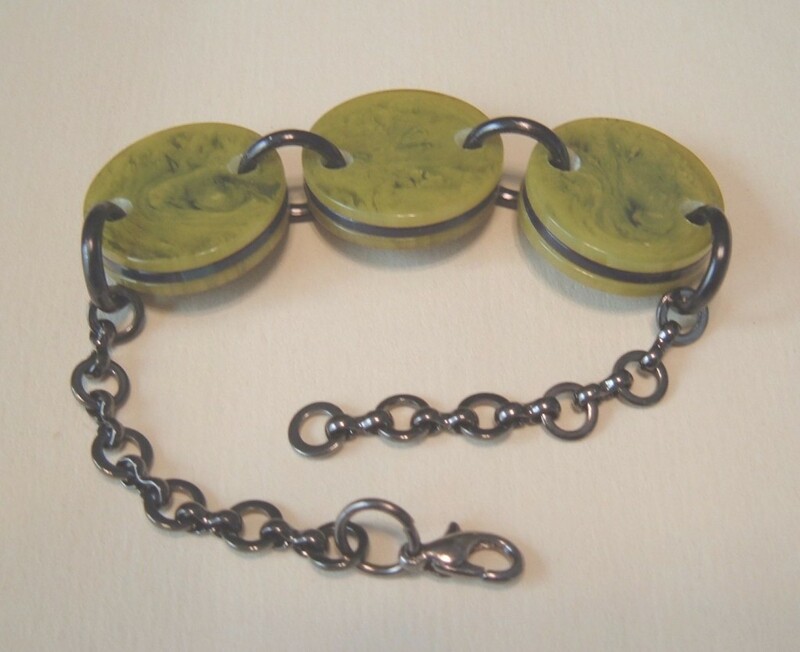 We were amazed at some of the items we would find and reuse into our jewelry. 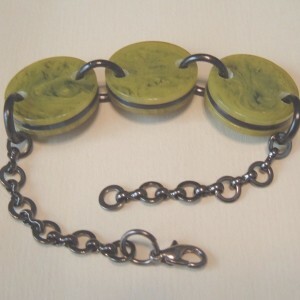 Most people have never heard of bakelite plastic, but most likely have seen it. 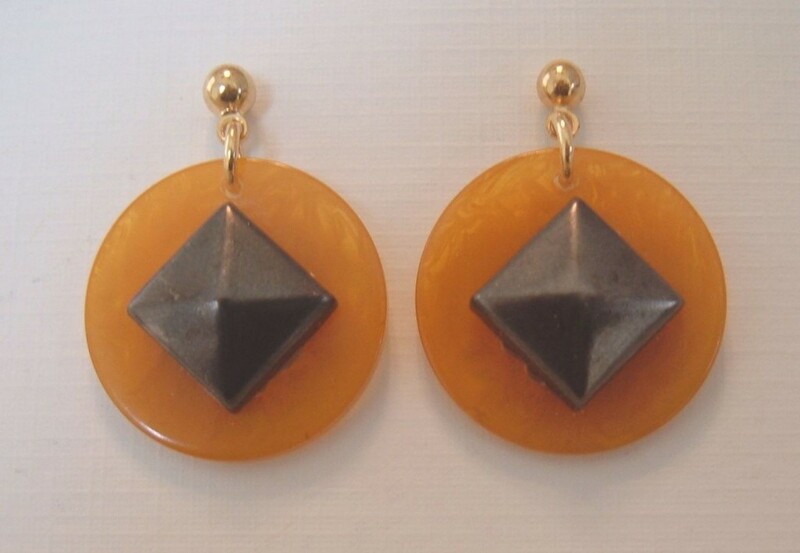 I've recently found some wonderful triangular bakelite pieces and have started experimenting and creating some new pieces that are eye-catching and fun to wear. Stay tuned. We sell mostly online. 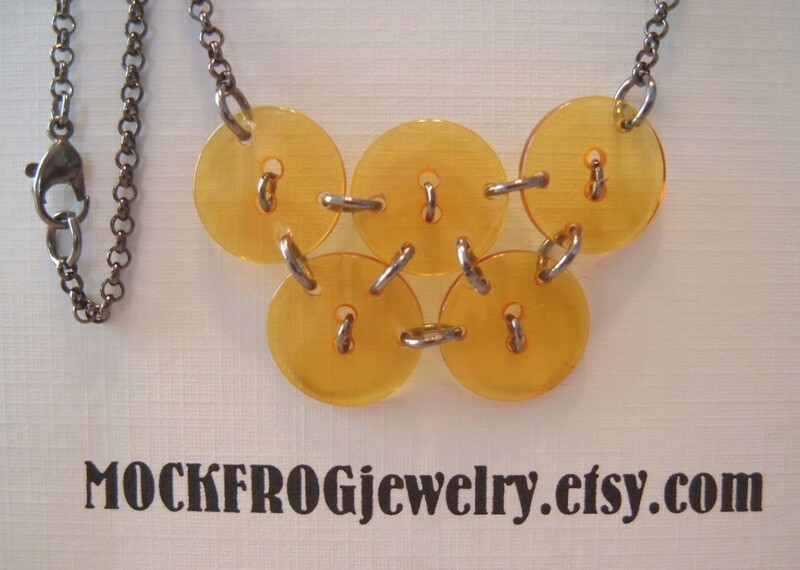 MOCKFROG now has 4 shops on etsy. You can also find us on Bonanza and on eBay. Handmade means unique, original, imaginative. I love creating something that has never been done before. « March Heart Handmade Blog Giveaway!